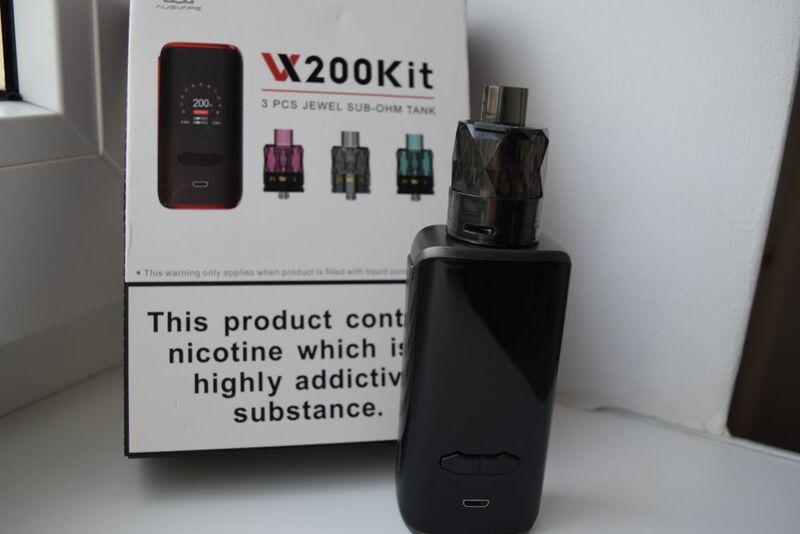 The Augvape VX200 kit comes packaged in a large cardboard box featuring pictures of both the VX200 box mod and the three different color Jewel tanks that it comes with, on the front, and a list of kit contents, as well as warning regrading nicotine – there’s no nicotine in this kit, but that’s how our stupid laws work – on the back. The large box consists of two smaller boxes, which leads me to believe that both the mod and the pack of disposable tanks are also being sold separately. Inside the VX200 box, we have a shockingly light box mod, a micro-USB cable for charging and firmware upgrades, and a user manual. It doesn’t sound like much, but it’s actually a standard box. As for the other box, it only contains three disposable Jewel tanks, in three different colors – pink, turquoise and dark grey. 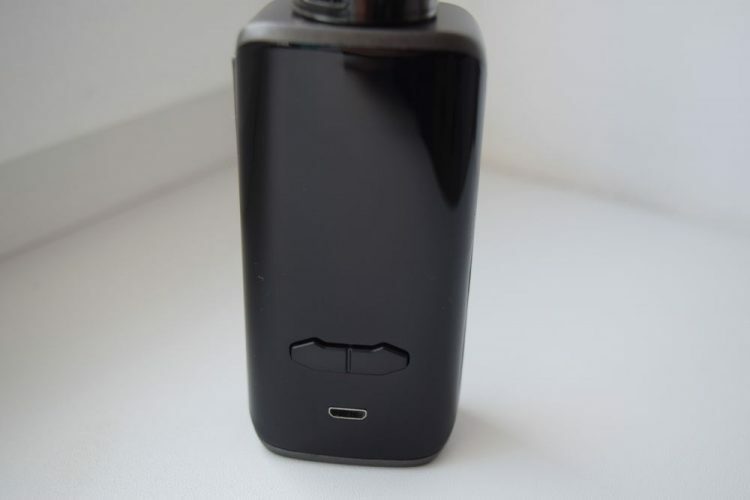 The first time I saw pictures of the Augvape VX200 vape mod online, I thought its general design was somewhat similar to that of the Druga Foxy I reviewed a while back. My opinion held true after I opened the box, but everything changed when I picked it up. 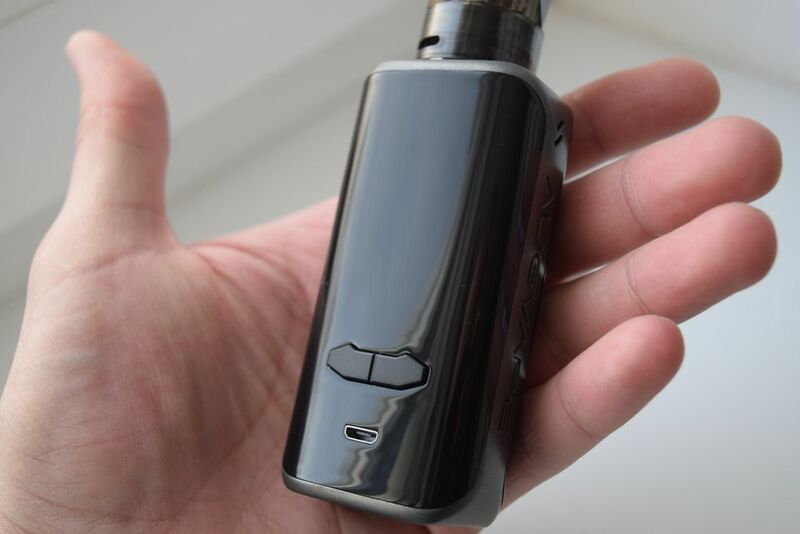 Despite its bevelled edges and refined look, the Druga Foxy was a solid, zinc alloy mod that had a fair weight to it even without batteries, but the VX200 felt like a feather, in comparison. It was only after holding it in my hand for the first time that I realized this was a plastic mod (ABS and PC, to be more precise). If you’re interested in buying the Augvape VX200, it’s important to know exactly what you’re getting, or else you’ll probably be as disappointed as I was the first time I picked it up. It may look like your average bevelled box mod, but while most of those have a metallic body, this one is made of plastic. 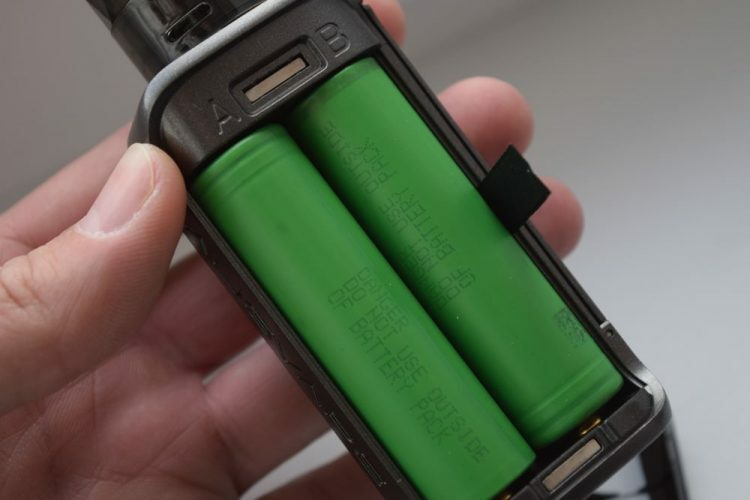 If you’re looking for an affordable, ultra-lightweight dual-18650 battery device, it’s great, but if you’re expecting a high-quality, durable mod, you’ll most likely be shocked by its cheap feel. It almost feels just as disposable as the tanks it comes with, even after you insert two 18650 batteries in it, which is something you should be aware of before putting in your order. However, the plastic body of the Augvape VX200 does have its advantages. Most importantly, it brings down the price of the mod considerably; by itself, the mod sells for just over $30, and the kit with 3 disposable Jewel tanks costs under $40. 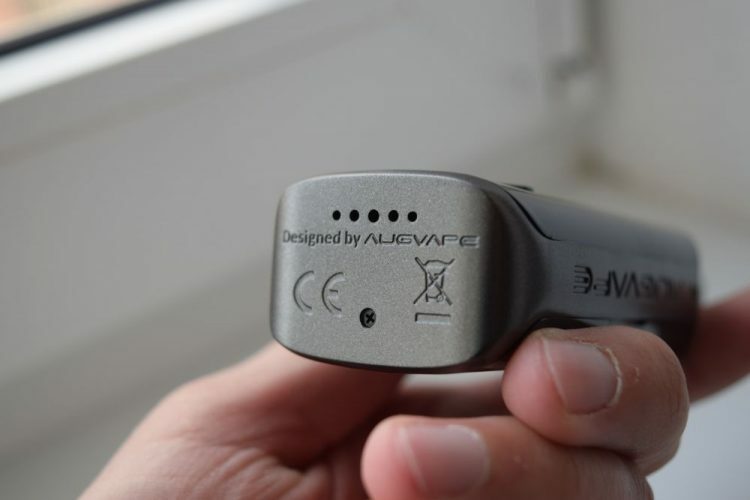 It also makes the device much lighter than any metallic dual-battery vape mod, so if you like advanced, high-power devices, but hate keeping a heavy piece of metal in your pocket all the time, this is a very good alternative. Although its cheap plastic feel can be misleading, this device has a maximum power output of 200W and offers virtually all the features we’ve seen on other dual-battery mods. The Augvape VX200 mod measures 87.5mm x 45mm x 29mm and comes in three different colors – black, red and gun metal. Design-wise, it’s actually a very nice looking device, which is what caught my attention the first time I saw it. It’s very compact for a dual-batter vape mod, features large glossy panels on both sides and has bevelled edges and corners which makes it very comfortable to hold. 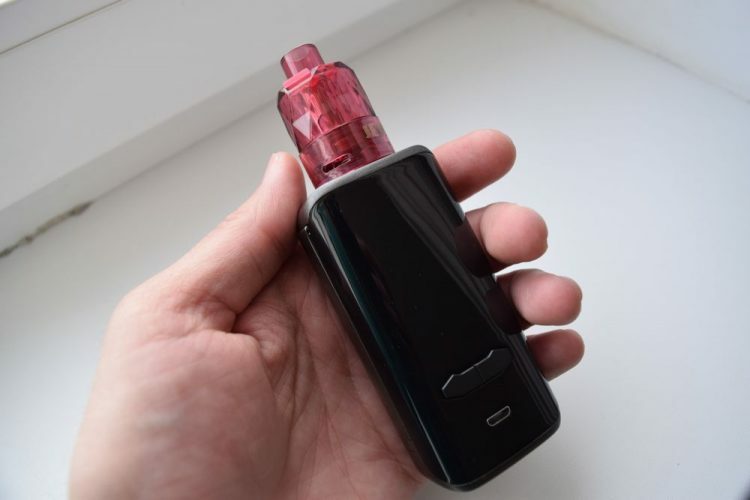 Augvape claims that the design of the VX200 was inspired by that of a smartphone. Starting from the top, we have a standard 510 connection with a spring-loaded, gold-plated pin. The connection is centered, so it can be used with any atomizer up to 26mm in diameter without any overhang, and it’s slightly raised from the mod, to prevent any accidental scratching in case you screw the atomizer on too tightly. One of the two glossy panels on the sides of the VX200 acts as a magnetic battery door, while the other is a cover for the display. They are both heavily tinted, so the screen isn’t very bright. You can see it just fine indoors and in normal lighting conditions, but you will most likely struggle to make out the information displayed in bright sunlight. The battery door locks on tightly thanks to two pairs of very strong plastic, and because it’s made of plastic, you don’t need to worry about the batteries shorting even if they come in contact with it. The battery compartment features large polarity indicators, so you don’t have to wonder about the orientation of the batteries, even though the mod does have reverse polarity protection in case you put them in the wrong way. 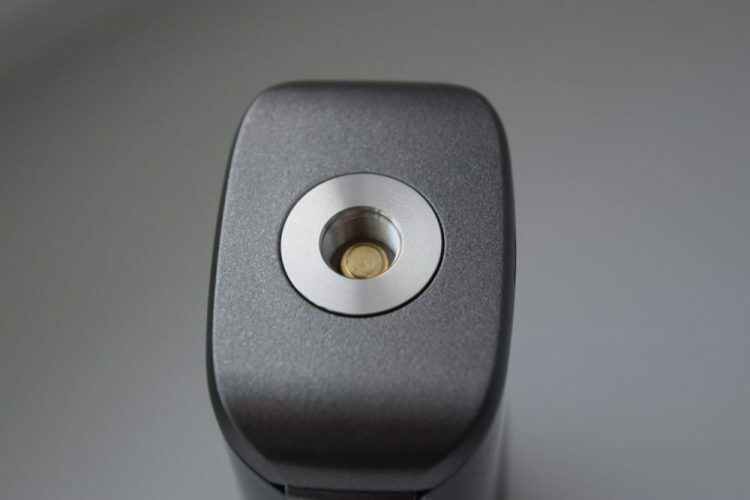 For the VX200 Augvape opted for a firing bar one of the narrowed sides of the device, instead of the classic fire button. The bar is clicky and responsive, but like most such battery activation systems, it only works when the upper half is pressed. Below the display we have the ‘-‘ and ‘+’ buttons which can be used to adjust the wattage/temperature and navigate through the menu. Finally, under these two buttons, there is a micro-USB port for charging and firmware upgrades. 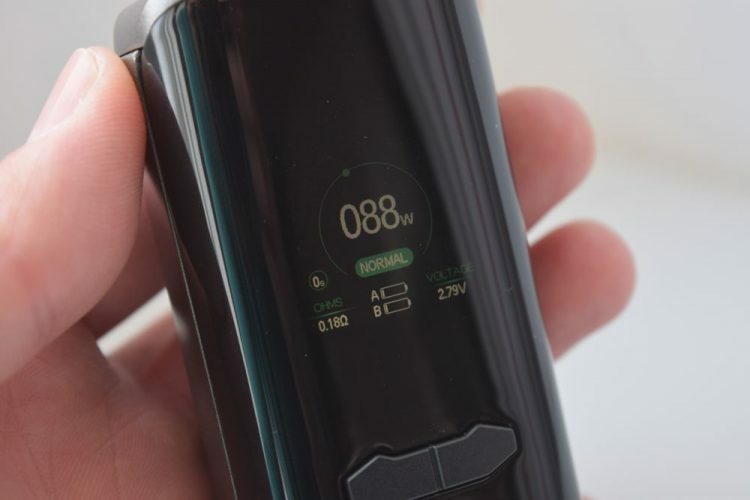 While the Augvape VX200 may feel like a disposable mod due to its ultra-light plastic body, it’s actually just as feature-rich as most other dual-18650 battery devices. To turn the device on/off, press the firing bar five times in rapid succession. To adjust the wattage/temperature/voltage, use the ‘-‘ and ‘+’ buttons, and to access the menu, press the firing bar three times rapidly. The main menu page features the different operating modes: Wattage mode (with three preheat options), Temperature Control for three supported materials (nickel, titanium and stainless steel), Basic TCR, Advanced TCR, and Bypass Mode (battery voltage output). At the bottom of the list, you will also find Settings, which takes you to a secondary menu, and Information, which includes statistics about how you’ve been using the device (puff counter, average puff time, average wattage, average temperature, total Joules, and total vape time), device info (chip model, hardware and software versions, and serial number), as well as a Firmware Upgrade option. In Settings, you can activate and deactivate Auto Mode, which automatically sets the power output of the mode according to the resistance of the atomizer, set the Cutoff Time, set the number of seconds the screen stays on in Standby Mode, set the color configuration of the display, display the temperature in degrees Fahrenheit or Celsius, switch Languages between English and Chinese, or return to factory settings. 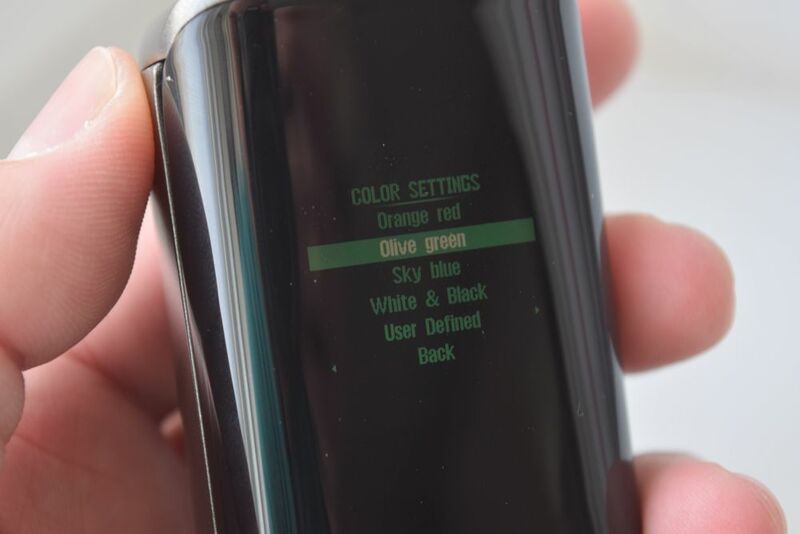 In LCD Color Settings, you have a number of colors to choose from, like Olive Green or Sky Blue, but there is also a User Defined option, where you can select a custom configuration by inputting the RGB codes of whatever colors you want. 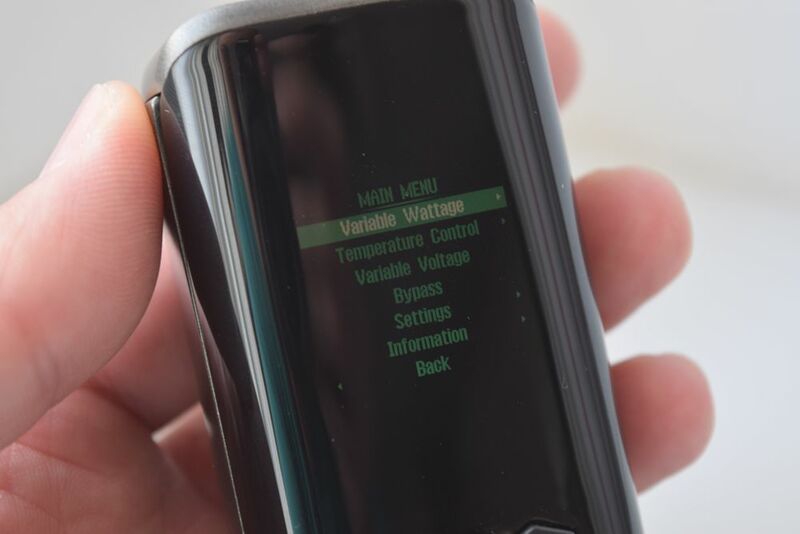 The 1.3-inch display of the Augvape VX200 mod isn’t the most impressive I’ve seen – it doesn’t even come close to that of the Modefined Draco or Smoant Charon Mini – but it has an interesting layout, with the power/temperature in the center of the screen and battery indicators, atomizer resistance and voltage/wattage, at the bottom. There is also an ingenious puff timer in the shape of an arc from 0 to 10 that lights up the longer you keep the fire bar pressed. Still, I think they could have done a much better job with it. The only thing that’s missing from the menu of the VX200 is a custom curves mode, but even so it has plenty of useful and interesting settings to tinker with. It’s definitely a lot more complex than I thought it was going to be and the navigation is pretty straightforward. The Augvape VX200 is powered by two 18650 batteries (not included in the kit) and apparently offers a longer battery life thanks to a simpler circuit design that uses less wire so the current doesn’t have to travel a long way and less power is wasted. That’s what the manufacturer claims, anyway. I personally didn’t notice that much of a difference between the battery life of the VX200 and other advanced dual battery mods, like the VooPoo Drag 2 or the Smoant Naboo, for example. As with all removable battery vaping devices, the battery life of the Augvape VX200 depends on a variety of factors, like the set power output, battery capacity as well as how much you use it, so I can’t really offer a fair estimate. Personally, I use it with a couple of Sony VTC5A batteries at around 70W and it lasts me almost a full day, if I rely on it exclusively. That’s about what I get out of all my dual-battery mods, except Smoant ones which are always more conservative with the battery cutoff point. The VX200 features on-board charging, but I strongly recommend using this feature only as a last resort, as an external charger is a much safer option. While I can’t say whether the Augvape VX200 mod outputs 200W as advertised, I would say it probably does close to that, as very few mods actually reach that wattage and only in very specific conditions. That’s not a big deal though, as very few people vape over 100W anyways. It works fine at my preferred wattage range of 60W – 85W, so I don’t really have anything to complain about. I didn’t really bother with temp. control mode simply because I never use it anyway, but even if there are some issues with it, Augvape can fix them with a simple firmware upgrade. 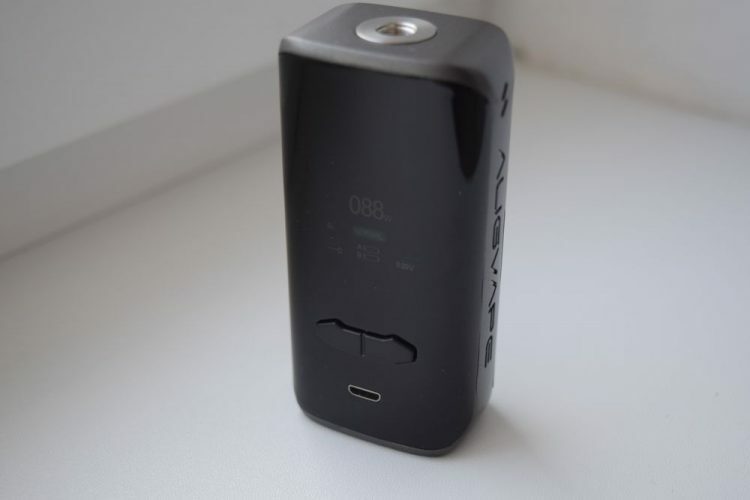 I’ve been using the Augvape VX200 for over a month -not exclusively, though – and so far I haven’t encountered any performance issues. The power output and resistance reading appear to be accurate, I’ve experienced no misfires or power fluctuation, so as far as general performance goes, I don’t have anything negative to report. After trying several Augvape mods in the past, I’ve personally come to expect this kind of performance from their devices. Usually, the tanks bundled in all-in-one type of kits are nothing to write home about, but the Jewel tanks were different for me, simply because I hadn’t tried disposable tanks before. I know they’ve been around for a while, but I just never had the chance to use any of them, so I was eager to see what they were all about. 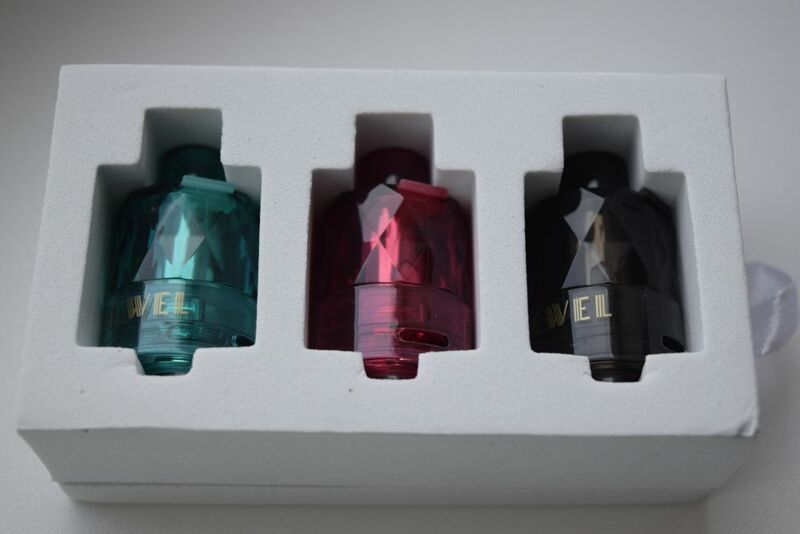 The Augvape VX200 I received for this review came with three Jewel tanks, one in each color currently offered by the manufacturer. They are 26mm in diameter and have a juice capacity of 3ml. Like the mod they come with, the Jewel tanks are almost exclusively made of plastic – except for the connection pin and the build-in mesh coil – and extremely light. Design-wise, apart from the faceted look reminiscent of a diamond, the Jewel tank doesn’t really stand out. 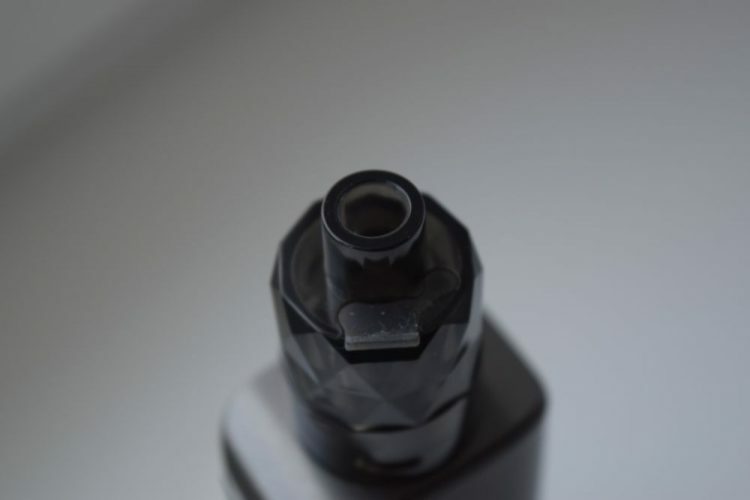 It’s a standard tank with a non-removable 510 drip tip, a rudimentary top fill port and adjustable bottom airflow. It’s a bit more interesting on the inside, as it houses a mesh coil that is supposed to enhance the flavor. 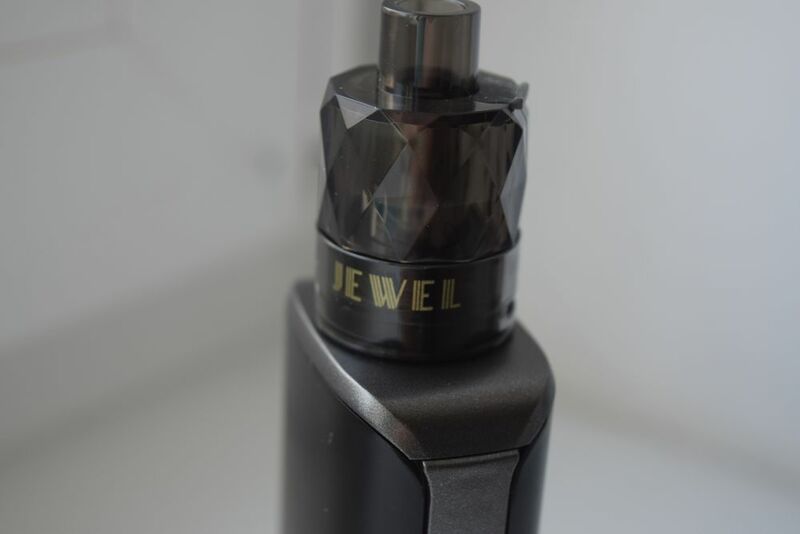 Currently, Augvape only offers a single resistance for it Jewel tank (0.15Ω) which has a recommended wattage range of 40W – 80W. Sp if you plan on testing the maximum power output of the VX200 mod, you’re going to need a different atomizer. In terms of performance, the Jewel tank is decent, but nothing to write home about, to be honest. The flavors if ok, but not the best I’ve had from a mesh tank – that title still goes to the Freemax Mesh Pro – and the vapor production is not bad either. It’s a bit too airy for my taste, though, even with the airflow almost completely closed, so if you prefer a tighter draw, it may not be for you. One thing I notice is that the Jewel tanks wobble even when screwed on all the way on the VX200, whereas regular tanks do not. Basically, the only thing that separates the Jewel from a standard sub-ohm tank is the fact that you can’t change the coil-head. Once it’s done, you have to throw the whole things away, which from an ecological standpoint, is not exactly ideal. But the throw-away culture is so deeply embedded in our DNA at this point that I’m not surprised that a lot of people are really digging this type of disposable atomizers. I’ve so far gone through two of the three tanks that came with the VX200 kit in about a month. One of them lasted about two and a half weeks and the other just one and a half. It’s not that the quality between them was any different, but rather the different types of liquid I used them with. One was clear and very lightly sweetened, while the other was an amber-colored dessert juice which gunked up the mesh coil considerably faster. So if you want to prolong the life of your Jewel tank keep in mind that clear, lightly sweetened e-liquids are preferable. All in all, the Jewel tank works pretty well, but not well enough to justify its disposable nature, in my opinion. It may be more convenient, but throwing away the whole thing when I’m done with it just feels wrong to me. The Augvape VX200 and the Jewel tank go really well together. Both the mod and the atomizer are almost exclusively made of plastic and have that disposable feel to them. I like the look and ergonomic design of the VX200, but I just can’t get used to how light it is. This thing weighs just 65 grams without batteries, which is so light it makes it feel cheap. Luckily, that opinion changes once you discover that it’s packed full of features and performs just as well as the average dual-battery advanced mod. As for the Jewel tank, it’s decent, but not something I see myself using on a regular basis. So would I recommend the VX200 kit? Well, personally, I’m not a big fan of it, but I guess that if you actually want something light and cheap, this is probably a great choice. As I mentioned at the beginning of this review, it all depends on your expectations.